Plumbing by Kevin Ginnings Plumbing Service Inc.
At Kevin Ginnings Plumbing Service Inc., we always provide service you can rely on. Our years of experience mean that we're quick to figure out what's causing your plumbing problem, and we'll know what steps to take to solve them in an efficient, cost effective manner. 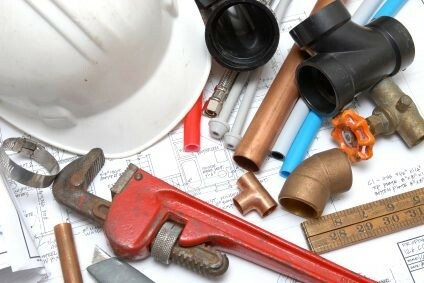 From new construction to maintenance work like pipe insulation to emergency repairs on stopped-up toilets, Kevin Ginnings Plumbing Service Inc. can offer everything you need in one place. Remember us when you have any plumbing need. We work on heating systems too if you ever need work on your furnace or gas pipes. Just call (816) 832-4322 as soon as any plumbing problem arises. Don't let faulty plumbing interrupt the flow in your life. Since 1985, we've been making ourselves available to our customers anytime they need us. Do you need your shower fixed late at night so you can be ready for work tomorrow morning? You're in luck... just call on Kevin Ginnings Plumbing Service Inc.! While most people think of electricity as the one modern necessity they can't live without, try living a day without running water. Even the ancient Romans had plumbing. This just goes to show how important plumbing really is. At Kevin Ginnings Plumbing Service Inc., we don't want you to have to go without this vital need of modern life. Call (816) 832-4322 today to let us put our passion for plumbing to work for you!